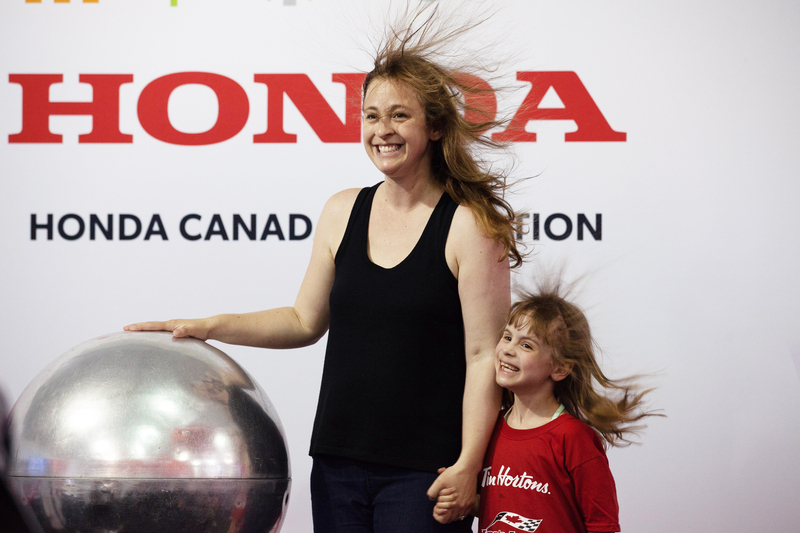 Honda’s partnership with Make-A-Wish is a win for families. In order for a charitable partnership to thrive, the charity and the sponsoring organization must align perfectly. 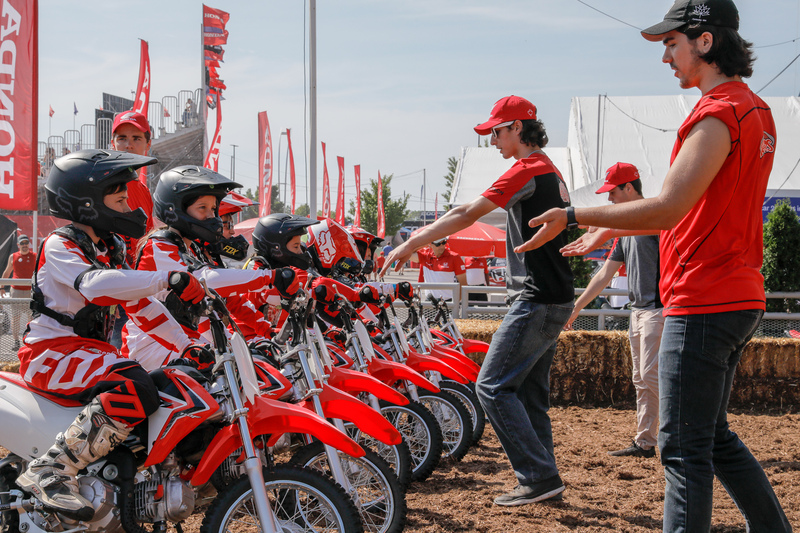 The nine-year alliance between Honda Canada Foundation and Make-A-Wish Canada is a textbook model. Make-A-Wish Canada grants special wishes for children aged three to 17 with a critical illness. Since its founding 35 years ago, it has granted close to 7,500 wishes. A survey of adult wish children found that 71 per cent believe their wish experience contributed to saving their lives. Honda Indy Toronto takes place annually over three days in mid- July. 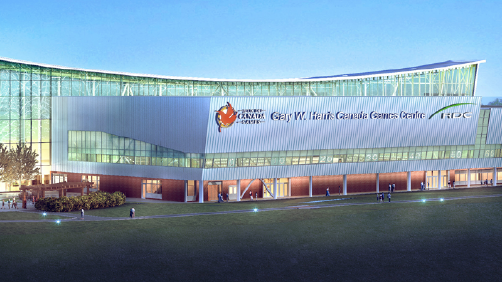 The event takes over most of the city’s Exhibition Place grounds, with a huge section devoted to demonstrations, activities, sponsor booths and activations. Rather than pay an admission on the Friday of race weekend, fans are encouraged to make a donation to Make-A-Wish. 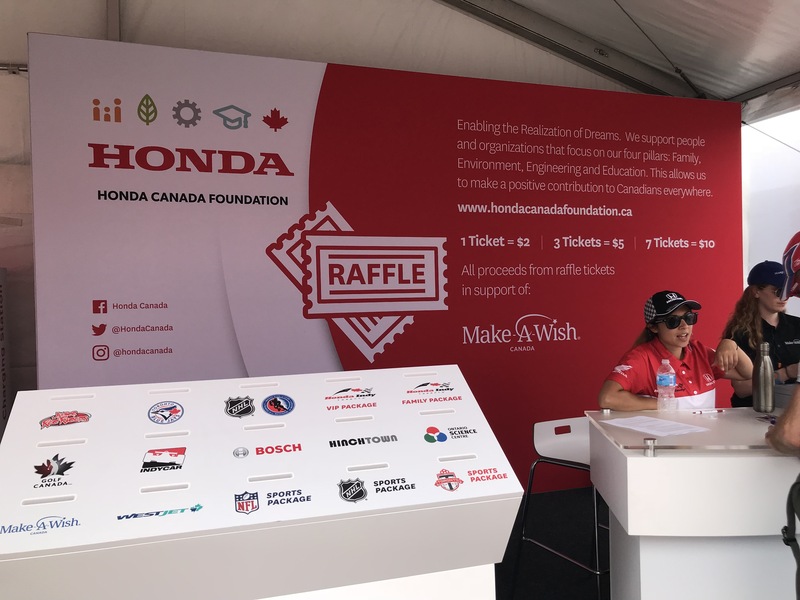 “This year we raised $90,000; the Honda Canada Foundation matches dollar for dollar what’s raised at [Honda Indy Toronto],” says Chris Pon, vice-president, national corporate alliances, Make-A-Wish Canada. The sponsorship extends beyond Fan Friday. “We are with Honda throughout the whole weekend. Last year, we had 100-plus volunteers supporting our efforts at the Indy,” says Pon. Besides Fan Friday door donations, the Indy’s fan activation areas offered numerous opportunities for additional contributions—as little as $2 at a time—for all sorts of family-focused interactions. Most activations (which change little over the years) flow naturally out of readily available partnership resources. 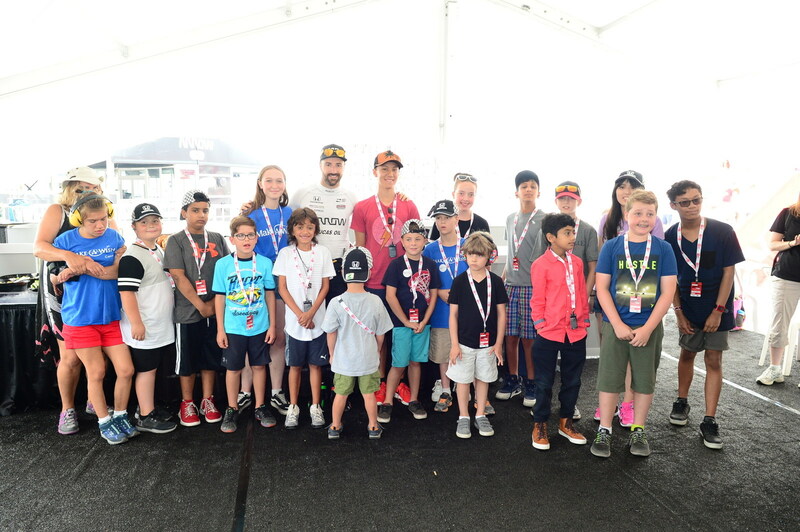 For instance, a chance to take a photo with a show car is a known fan favourite; a raffle (a newer addition) features such prizes as 2019 Indy tickets, WestJet flight vouchers and souvenirs signed by Canadian IndyCar driver James Hinchcliffe (who is sponsored by Honda).